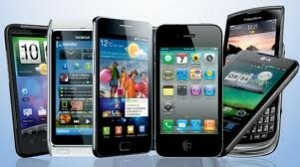 Posted by SizloTech on Jun 24, 2012 in Mobile Phone | Comments Off on How to Choose the Right Mobile Phone? Each month and even week brings brand new handsets with even more attractive features than ever. When choosing the right one for you, the first thing you should consider are your own requirements. So, when choosing the perfect mobile phone deals and handsets, you should make decisions based upon their purposes. So, basically, you can look for the best mobile phones for taking pictures, emailing, computing etc. Best handsets for taking pictures are those with high-grade cameras that can be so good that users commonly do away with their dedicated digital cameras. If you want to have mobile phone and a high-quality camera in one gadget, you should consider high-end handsets from LG, HTC, Samsung, as well as Sony Ericsson’s Xperia. Apple iPhone is also excellent for taking high quality pictures, plus its vibrant Retina Display screen makes viewing your snapshots a real joyful experience. If your priority is picking up your emails, when choosing a mobile phone, you should look for those that have push e-mails support. That function means that your email message will be sent directly to your phone, so you do not have to pull it down from internet. This way, you are able to respond your emails very quickly if this is very important for you. Most of the high-end models of handsets feature push email feature, such as Nokia, Sony Ericsson, HTC, Samsung and LG. However, the best handsets for this purpose are BlackBerry mobile phones. There are people who use mobile phone less as a communicating device and closer to some pocket computer. So, if you are this kind of mobile phone user, you should look for the handsets with enormous processing power, so that you could use multiple apps at the same time. The fastest mobile phones today feature a processor of 1 GHz and above. Dual core processors are even more powerful. Apple, HTC and Samsung are perhaps manufacturers for such handsets.